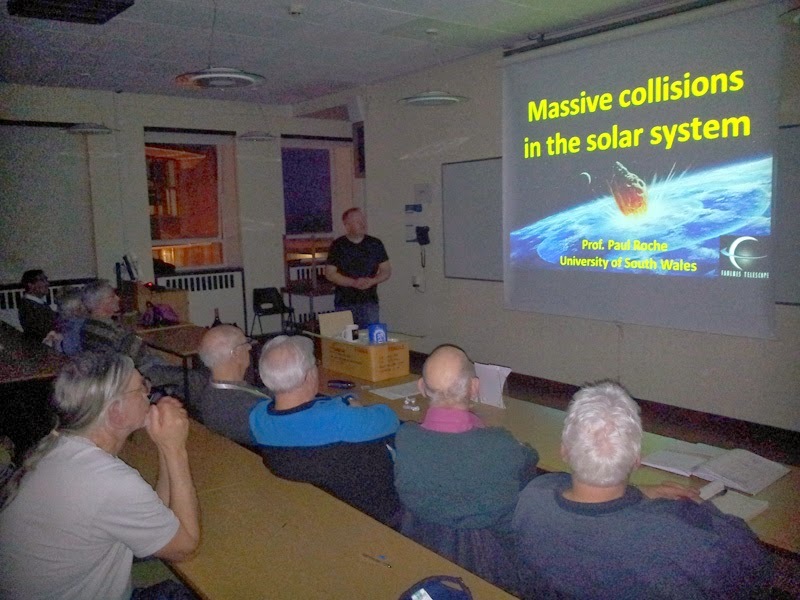 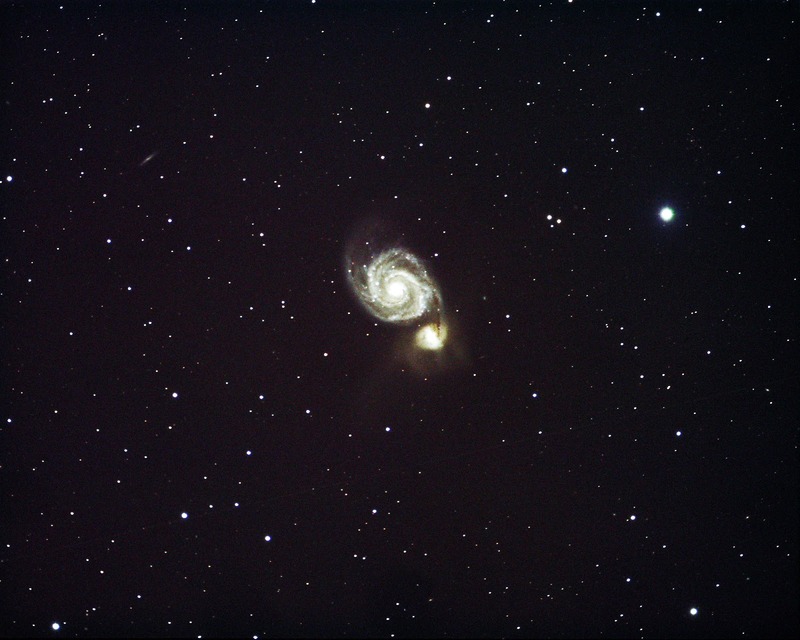 The lecture covered many aspects of collisions between various bodies in the Solar system, and finished with recent and past collisions with the Earth, including extinction level events and their effects on the development of Earth's biota. 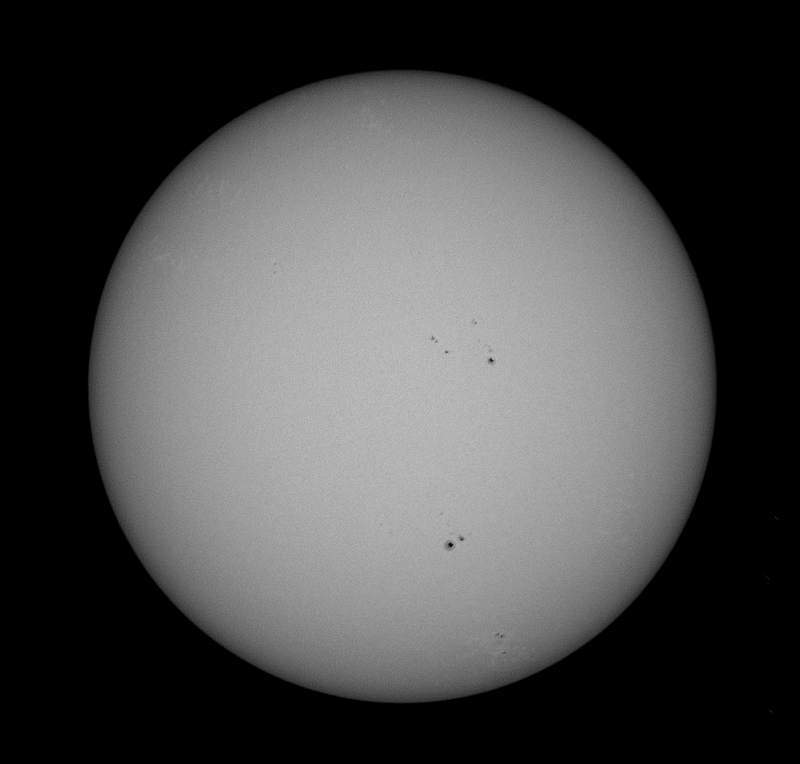 Many small sunspots and faculae can be seen in this image. The largest sunspot below centre, AR2014 may possibly release flares. Faculae can be seen close to the limb as well as granulation on the disk.